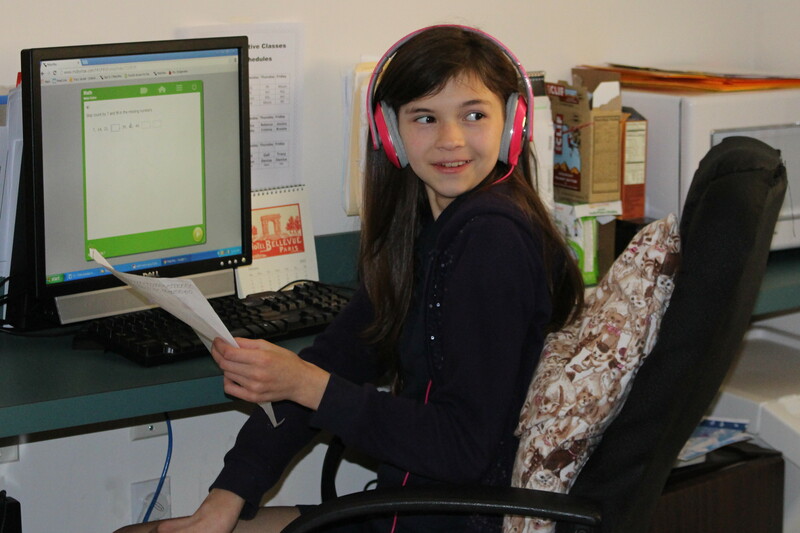 Summit View offers a college preparatory program to students with learning differences. The programs, courses of study, and instructional methods at Summit View are chosen and implemented based on educational research and curricular standards. High school core classes meet the a-g course requirements for University of California and California State University admissions. The rigorous, standards-based curriculum follows state and district guidelines including advanced courses such as Pre-Calculus, Astronomy, Honors English, and Physics. An emphasis on cross-curricular activities between subject areas enhances student awareness of the connectedness of concepts and how they relate to the world around them. Based on research showing that students with learning differences require explicit instruction in learning how to learn, the middle school program, which consists of 7th and 8th grades, integrates study skills into lessons across subject areas. Students are taught organization, time-management, note-taking, test-preparation, research skills, and test-taking strategies to help them transition successfully to high school. The elementary program utilizes specialized intervention programs for reading, writing, math, and study skills that focus on improving basic skills. Learning comes alive through classroom and small group hands-on, multi-sensory instruction in a stimulating and motivating environment. A strong co-curriculum component augments and enriches the academic program through field trips, outdoor education, travel abroad, expert speakers, and science fairs. A thriving visual and performing arts program nurtures the innate talents and targets the strengths of our student population allowing them to exhibit their skills in events such the Annual Spring Musical and Art Shows. Integration of technology and assistive technology are essential elements of the academic program. The use of technology assists our students to circumvent and/or ameliorate some of their learning deficits and access the curriculum. For example, text-to-speech software enables students with decoding impairments to access and understand text. Concept mapping software facilitates organization of ideas in the writing process. Each classroom is equip ed with interactive white boards that promote student engagement and target diverse learning styles. The Summit View academic program provides students with the opportunity to achieve their fullest potential, prepare for post-secondary education, and experience success in the workplace.